Aisling Keegan, Vice-President and General Manager of Dell EMC Commercial Ireland has received the Women Mean Business 2018 Businesswoman of the Year Award at a ceremony held in Dublin yesterday. The Dell EMC Ireland Commercial leader was acknowledged for driving growth in the company’s commercial business on the island of Ireland to ensure that organisations in the private and public sector embrace digital transformation. The Women Mean Business (WMB) judges also recognised Aisling Keegan’s role in nurturing female entrepreneurship through the creation of the Dell EMC Supper Club, a series of regular meetings bringing female entrepreneurs at similar stages on their start-up journey together around a table to exchange advice and to share ideas and strategies for success. 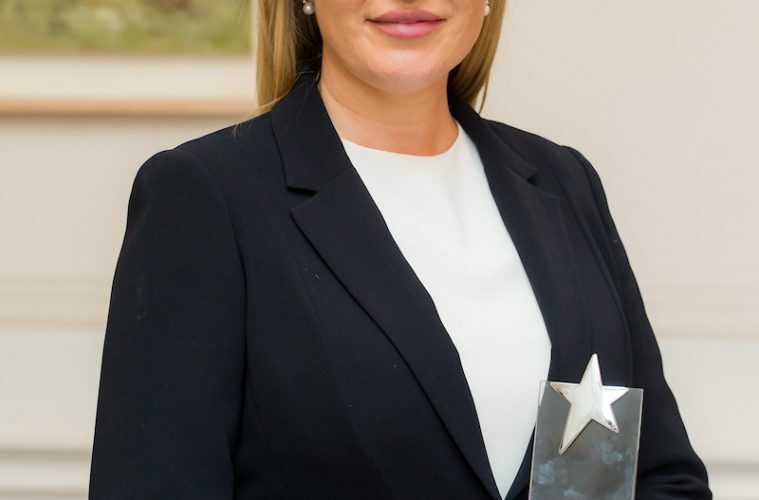 Aisling Keegan, Vice-President and General Manager, Dell EMC Commercial Ireland said: “I am delighted to have been named the WMB Businesswoman of the Year. It is an honour to be recognised by other leading women in business for the leadership I have shown in driving business growth at Dell EMC Ireland. In an era of rapid technological change, I have continually sought to focus on delivering innovative solutions that help other organisations in Ireland to embrace digital transformation and achieve their goals. By providing new business perspectives, companies in all sectors can translate technology into strong business benefits. Now in its 12th year, the WMB event recognises the achievements of outstanding businesswomen and female entrepreneurs. Speaking at the awards ceremony yesterday, Rosemary Delaney, Founder and Managing Director of WMB said that she was fortunate to come into contact with “seriously inspiring individuals”. “Women who climbed the corporate ladder and turned to help those who have stepped onto the first rung, and entrepreneurs who want to change the world and have decided to do it themselves. All share moments of fear, all struggle at times to find an equilibrium in their lives and all possess the passion, tenacity, intelligence and camaraderie to make a difference – our finalists and winners are true Women who Mean Business,” Ms Delaney added.